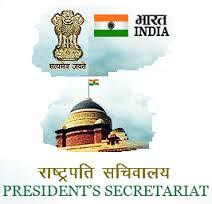 Recently a recruitment notification has been released by President Secretariat. As per the notification, opening for the post of Mali Grade III has been released. There are total 66 posts. Candidates who are interested and eligible can apply for the post online in the prescribed format. Candidates who are interested and eligible can apply latest by January 30th. No candidate will be allowed to apply after this. – Mali Grade III, Shimla: 4 Posts. Candidates who wish to apply for the post must be having the Matriculation Degree from any recognised board. Age Criteria: Candidate who wishes to apply must not exceed 30 years of age. There is age relaxation as well for the reserved category candidate. Candidate who will be successfully cleared the examination and will be selected for the post will get the pay band between INR 18000 to 56900. Selection Procedure: Candidates will be selected on the basis of written test and trade test. After that, Candidate is required to fill the application form as per the notification. Candidates also need to upload the scanned copies of the required documents. After that, candidates are advised to get it print for future purpose.